A line of Pigeon Guillemots passes in front of a gillnetter returning from a day of fishing along the Broughton Archipelago and Queen Charlotte Strait. Guillemots nest in crevices, usually on cliffs or amongst boulders and feed on fish, crustaceans and marine invertebrates. A Humpback whale swims with Pacific White-sided dolphins along the Broughton Archipelago in British Columbia, Canada. In 1965 when humpbacks were first protected from whaling there were an estimated 1,500 left in the North Pacific. Now there are more than 20,000. 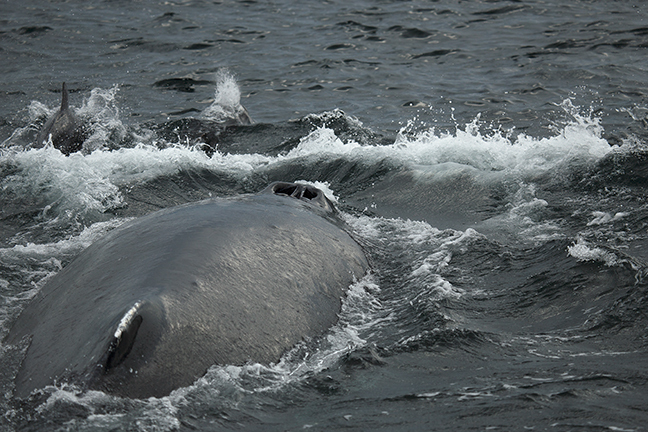 Most humpbacks migrate every year between their breeding and feeding sites. Many in the British Columbia population migrate to Central America, while most in the Alaska population migrate 3,500 miles to Hawaii. A Humpback Whale deep dives along the Broughton Archipelago in British Columbia, Canada. 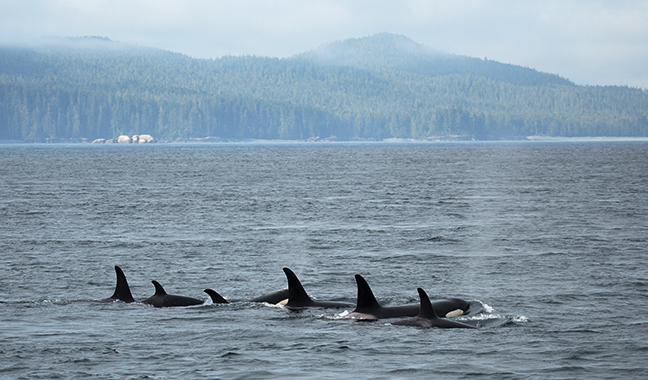 In 1965 when humpbacks were first protected from whaling there were an estimated 1,500 left in the North Pacific. Now there are more than 20,000. 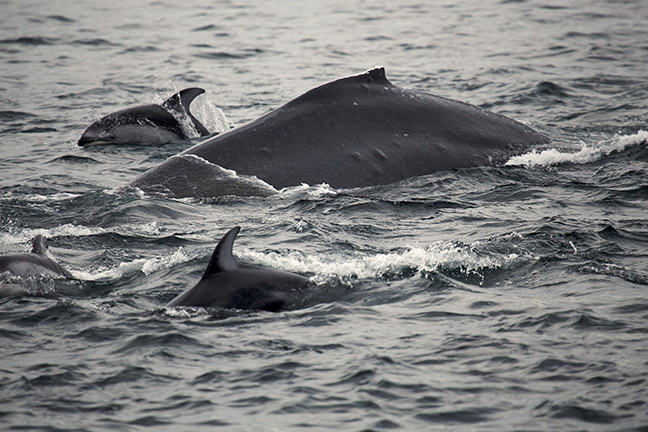 Most humpbacks migrate every year between their breeding and feeding sites. Many in the British Columbia population migrate to Central America, while most in the Alaska population migrate 3,500 miles to Hawaii. The main body, or "bell", of the Fried Egg Jellyfish can grow to two feet in diameter with tentacles that surpass 20 feet in length. 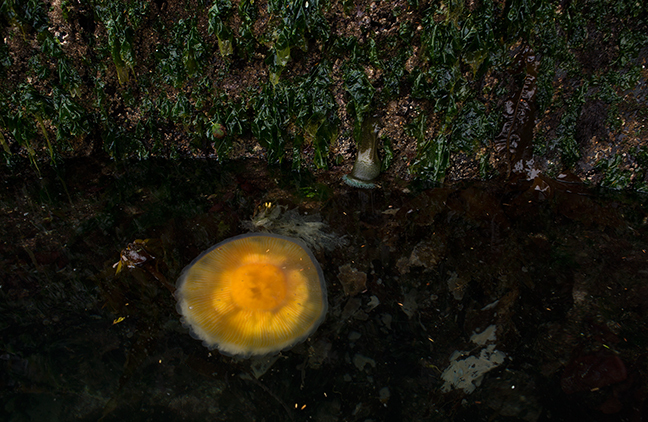 They eat gelatinous zooplankton, smaller jellyfish and small crabs. 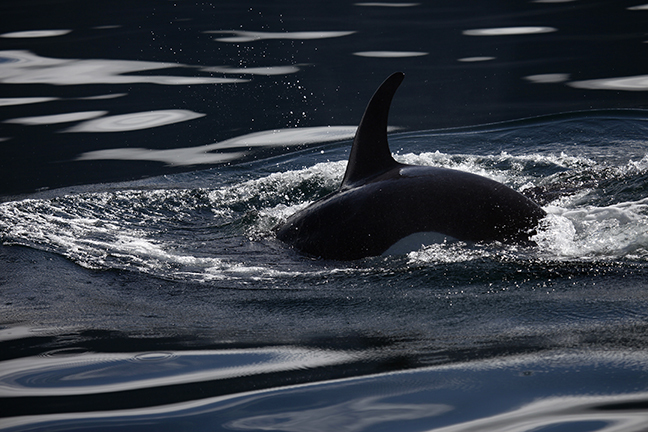 They are pelagic and prefer open temperate oceans, but are also seen near shore. They typically drift motionlessly or with a gentle pulsing action functioning like a drift net, capturing their preferred prey of other jellies that stumble into their mass of tentacles. Immature Western Gulls are opportunistic feeders. They capture food near the surface of the water and often steal food from cormorants or other gulls and swallow their prey whole. 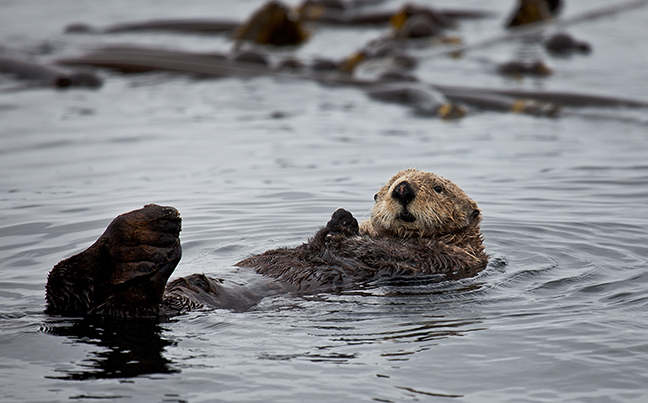 Sea Otters were over-hunted by fur traders beginning in the early 1800s. 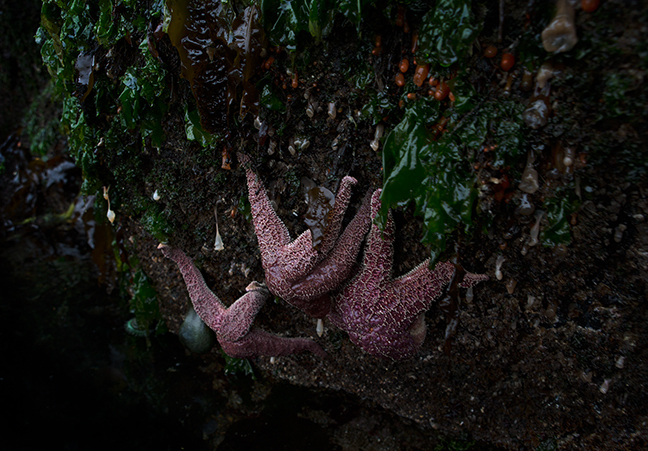 By 1929 they had been virtually eradicated in the Pacific from Alaska to California. 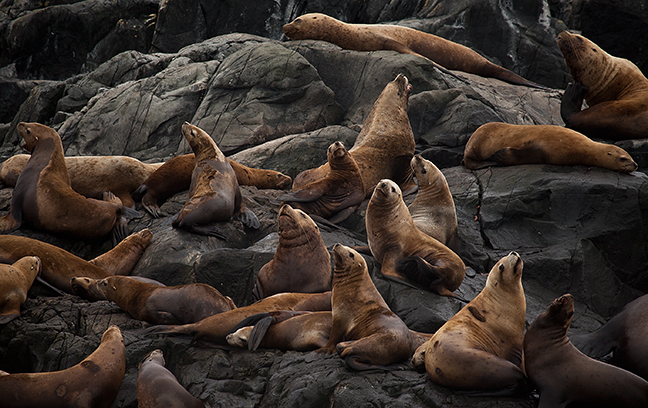 In British Columbia, Sea Otters had vanished entirely until government biologists released 89 on the west coast of Vancouver Island between 1969 and 1972. 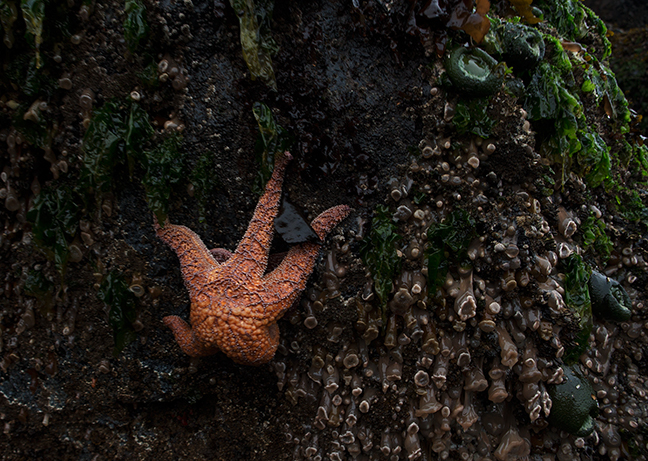 They feed on clams, sea urchins, abalone, crabs, mussels, starfish and fish and their dramatic recovery has created tension amongst Nuu-chah-nulth First Nations coastal communities that rely heavily on shellfish harvesting. 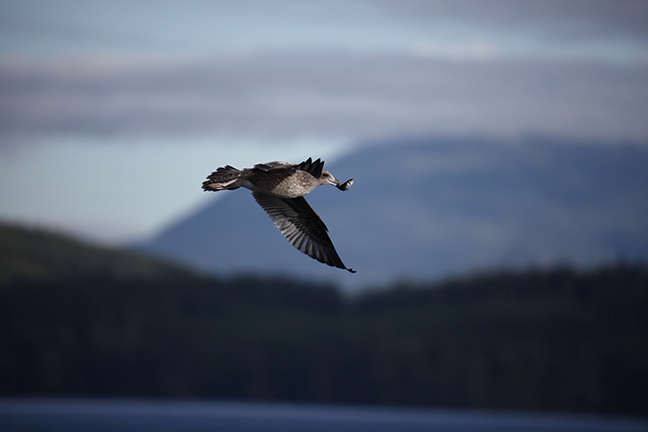 The Khutzeymateen Provincial Park was established in 1994 and is administered under the joint management of the province of British Columbia and the Tsimshian Nation as the first undisturbed estuary of its size in Canada to be protected specifically for brown bears and their habitat. Coastal bears are highly dependent on old-growth forests and salmon, and logging has been cited as the cause of the loss of 140 wild salmon stocks and the presently at risk designation of 624 others. The BC government estimates that more than 6,300 bears are shot annually before they reach maturity. 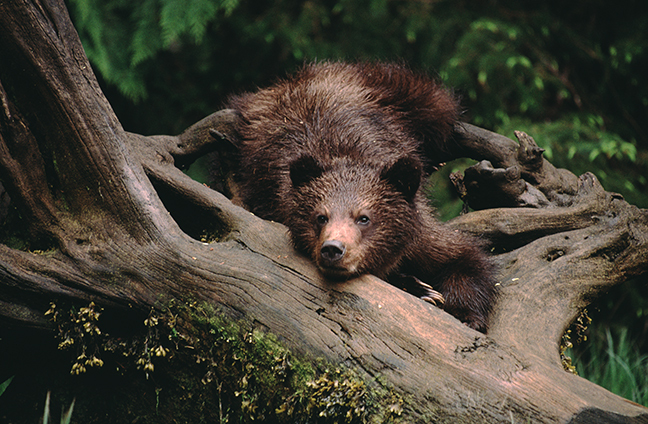 Grizzlies are legally hunted in British Columbia for a fee of $15,000 - $20,000. The Kermode Bear, often referred to as the Spirit Bear (Moksgm’ol by local First Nations peoples), is a subspecies of the American Black Bear and the official animal of British Columbia. 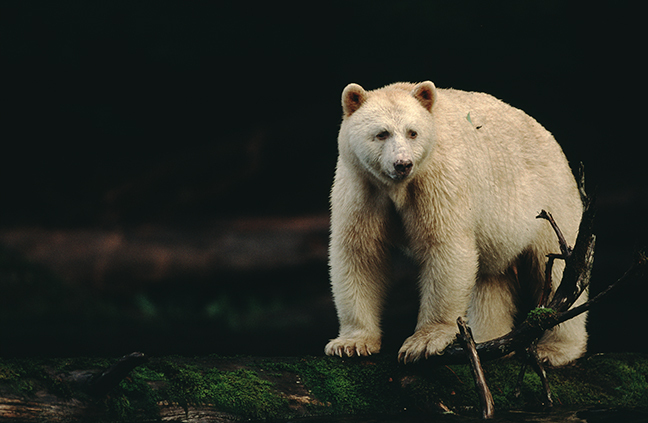 Of an estimated 1,200 Kermode bears, fewer than 200 are white, due to a double recessive gene unique to the subspecies. They are omnivores, eating mostly fish and berries, but also eat deer and moose fawns, carrion, plants, fruits and nuts. 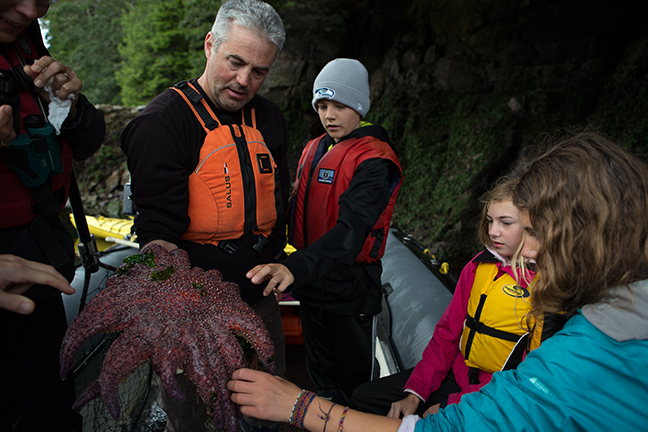 They depend on the fall salmon runs to increase their body fat before hibernation.